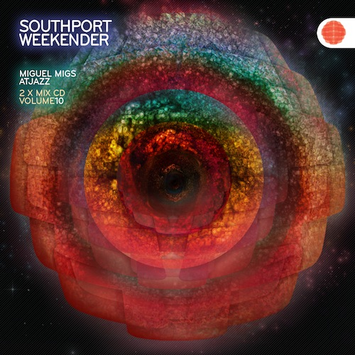 Southport Weekender Festival get set to release their next installment of their compilation series. ‘Southport Weekender Volume 10’ sees DJ/producer, Miguel Migs, make a return to the series, alongside one of the UK’s brightest stars of the dance community, Atjazz. Over two CDs, the album features 38 tracks spanning deep house, Afroentric delights, soul, jazz, nu disco and boogie. Miguel’s selection features three exclusive single remixes of Kyodai feat Gabriela Smith, Tortured Soul and Zoo feat Amy Lyon, amidst a plethora of tracks from Husky, Thievery Corporation, Hot Toddy and Miguel himself. Atjazz showcases his unique blend of deep and soulful mixology, with some of his own remixes of tracks from The Muthafunkas, Kerri Chandler and Incognito. He also features some Atjazz Recordings talent including Elise, Leon Ware and finishes off with an exclusive piece dedicated to his parents titled ‘13.10.11 13.11.11’. ‘Southport Weekender Volume 10’ will be released worldwide on July 1 2013 on Miroma Music UK.